Synopsis: YOUNG & FABULOUS is a coming-of-age story of a group of teenage friends—Royston, Violet, and Hao Ren—who overcome all challenges and obstacles to fulfil their dreams. On their journey of self-discovery, they also learn the meaning of friendship, the different perspectives in parent-child and teacher-student relationships, and ultimately the need to have the courage to stand up for what they believe in. Bonded through a fondness for cosplay, the three friends help each other out academically and empower each other to become better individuals. Their natural talents in different aspects also make them a great team—the creative Royston designs and tailors the costumes; social media queen Violet teaches them how to pose with confidence, while Hao Ren puts his street smarts to good use in their negotiations with the vendors. Conflict arises when their cosplay hobby, kept a secret amongst themselves till then, is discovered by their parents. The parents strongly object to their involvement in cosplay, as they believe that it is juvenile and strange hobby that wastes time and effort, and will cause them to neglect their studies. They warn the three to discontinue their involvement in cosplay or risk getting into deeper trouble with them. Royston, Violet, and Hao Ren are in a dilemma. In this competitive era with an education system that focuses on academic excellence, how will the younger generation find courage and confidence and hold on to their dreams and hopes in a society that values practicality over creativity? If you are too young or impatient to endure two hours of boring motivational talk, then Young & Fabulous might just do the trick. 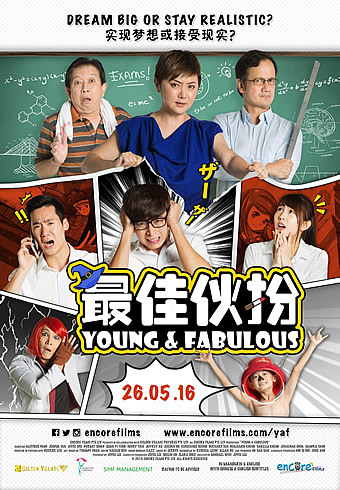 Directed by TV veterans Michael Woo and Joyce Lee, Young & Fabulous expectedly fares like a Mediacorp telemovie from the production values right down to the cast. Above all, the story is a paint-by-numbers affair which uses the theme of cosplay to convey an inspiring message that, in order to succeed, one must hold on to one's dream. 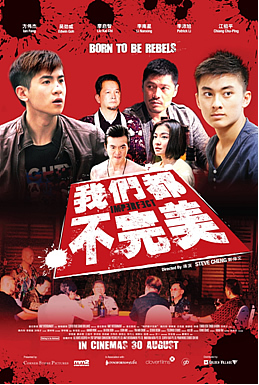 But not all is lost as the leading cast boasts Aloysius Pang, one of TV’s hottest young talents, Joshua Tan of Ah Boys to Men fame and Malaysia’s Internet sensation, Joyce Chu or more famously known as 四叶草 and a bunch of TV veterans, Quan Yifong, Gurmit Singh and Henry Thia in the mix. Pang, Tan and Chu plays fellow classmates Royston, Hao Ren and Violet respectively who get into cosplay. Royston is a talented costume designer, while Hao Ren is aiming for the $10,000 top prize in a cosplay summit. On the other hand, Violet, a rich lonely offspring, just wants attention and company. But their dream to compete is cut short when Violet’s rich, snobbish parents (played by Constance Song and Bernard Tan) want her to end her friendship with her lower class friends. Concurrently, Royston’s mum (Quan Yifong) wants her son to concentrate on his studies to become a doctor instead of dreaming to be a fashion designer. Will the trio’s dream take off in the end? No doubt, Young & Fabulous is an inspirational drama that delves into the current conventional mindset of parents whose only wish is to make sure their kids got into university and make a decent living out of it. Dreams are for the young not their parents. Unlike Jack Neo’s typical heavy-handed and often preachy attempt to tell a story, Woo and Lee manages to steer clear of it but that doesn’t mean they didn’t employ a few convenient tears-inducing tactics to keep the narrative flowing. While Neo frequently injects political and social messages in his movies (which might be a good thing for audiences looking for something extra), the script by Mediacorp’s scriptwriter Rebecca Leow prefers to lay every card on the table. 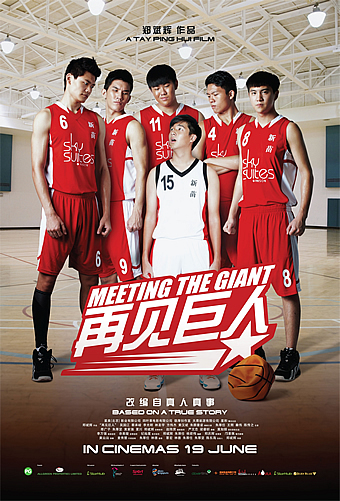 Despite Leow’s best intention to tell an inspiring story of dreams and friendship, the script in the end is of mediocre standard and likely appeals more to younger audiences and fans of the local cosplay community. As the geeky Royston, Aloysius Pang’s acting has improved leaps and bounds since his movie debut Timeless Love years back. Mediacorp of course is solid training ground. Joshua Tan’s Hao Ren is a lobang king, heartlander, filial boy all rolled into one and this probably marks the first time we seen him conversed almost entirely in Mandarin onscreen - not bad for an ang-mo-pai (westernized person). The only cast member in the entire movie that actually looks like a secondary student is none other than Joyce Chu who gave a serviceable performance as a character who is obsessed with social media. Henry Thia and Mediacorp’s Jeffrey Xu stood out for providing the comedic bits. Thia who plays the role of Hao Ren’s father is simply hilarious especially in the scene where all the parents of the students garner for a discussion with Teacher Boo (Gurmit Singh) while Xu’s excellent portrayal of a sissy cosplayer is practically faultless. Newcomer Jordan Ng on the other hand is as cute as a button playing Royston’s cheeky younger brother. After a long absence from acting, Quan Yifong plays a kiasu mother who gave new meaning to a plate of egg and sausage. Young & Fabulous will not win any awards for originality and creativity. However, fans of the three hot talents will see a new side of their idols. It does take a while to warm up to the whole idea but the $1.5 million local movie also features some nifty anime, manga effects and a display of lush cosplay costumes to sweeten the deal.